I’ve been using the Compass 2 in lieu of a Smart Cover for a few weeks now, and I’m impressed with how versatile this metal stand has turned out to be. TwelveSouth’s take on an iPad stand offers the usual bag of tricks — portrait and landscape viewing, and a flatter angle for typing — but the difference is how this little stand stays so compact. I imagine the term easel was likely thrown around during the marketing phase of this product. When the iPad sits back in this stand with the Paper app loaded up, it’s reminiscent of canvas on an easel. However, “Compass” is still a great name for this product, given the way it folds out like the mathematical instruments I used in high school: two legs swing out horizontally, and an extra leg folds backwards to help form a stable platform. Each leg on the Compass has a sort of foot, which folds out to help hold the iPad up. 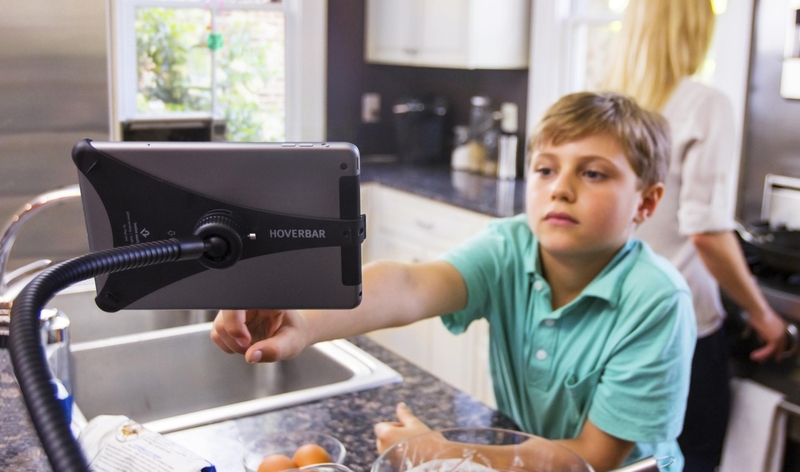 This the HoverBar 3 is the accessorry that will save your iPad from falling on your face while you read in bed. 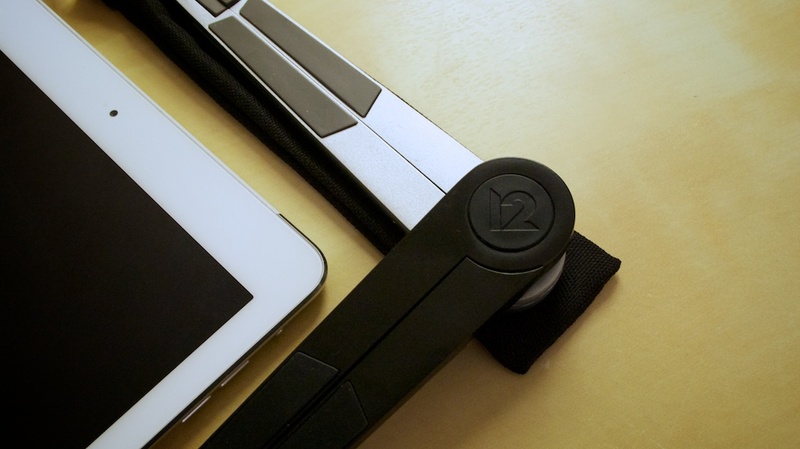 It’s essentially a clamp for the iPad that’s attached a flexible metal arm that you can grip onto most desk, bed frames, or monitors. The HoverBar 3 also comes with a desk stand that you can attach to the Fit Clip, so you can use the HoverBar in lieu of a Smart Cover for certain tasks. I’m not sure how practical that would be for me as a Compass 2 and Smart Cover user, but it’s an interesting little extra. There’s no question that this new HoverBar is free, but you may not feel like you can easily afford one. At $100, this is definitely a bit more of an investment than most other accessories, but the fact that TwelveSouth actively sells replacement Fit Clips for different iPad sizes means that the HoverBar should be useful for quite a while (and likely stay compatible with future generations of the iPad). However, I should be clear that the basic $100 purchase already covers all three current sizes of the iPad: iPad 4, iPad mini, and iPad Air. If the HoverBar sounds intriguing, you can check out more details on the TwelveSouth website.